Despite a late inning comeback, CSUN baseball dropped its home opener to Cal State Bakersfield on Friday at Matador Field. Hall of Fame sports broadcaster, Ross Porter, who is calling the play-by-play for the Matador home games in 2016, threw out the ceremonial first pitch for the 58th season of CSUN baseball. Senior right-hander Rayne Raven got the nod as starting pitcher in his final opening day as a college baseball player. Raven had great tempo on the mound early on as he was able to locate his fastball on both sides of the plate. 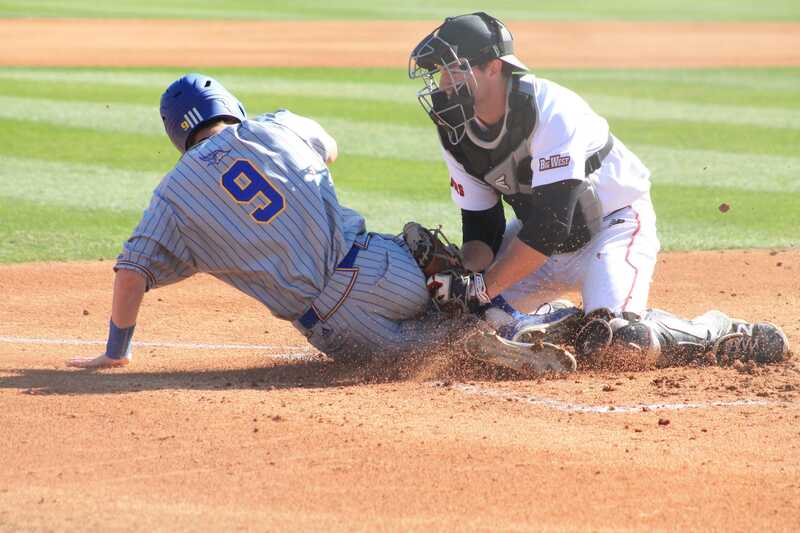 The Matador’s defense cut off CSUB’s early attempt to score in the top of the second when Bakersfield catcher, Cody White, hit a line drive to left center off Raven. CSUN’s left fielder Fred Smith ranged to his left to cut off the ball before it reached the wall, then he spun and threw it to shortstop Yusuke Akitoshi to cut white. The relay throw to home plate nabbed CSUB’s Ryan Grotjohn for the third out in his attempt to score from first on the base hit. Despite the Matadors bright play in the second inning, the defense broke down in the third and was never able to recover. The Roadrunners struck first in the third inning by scoring three runs on two hits and two errors. Smith and third baseman William Colantano both committed an error in the inning to allow CSUB to get multiple baserunners. Raven gave up back-to-back RBI singles and the Roadrunners to scored two of its three runs that inning. The Matadors finished with four errors on the day which translated to four unearned runs for their pitching staff. Raven was able to bounce back in the fourth after fanning back-to-back batters for the second and third outs of the inning and recorded another strikeout in the fifth before he was pulled. Raven finished his first outing of his senior year with 4.2 innings pitched, five hits, six strikeouts and no earned runs. Raven was replaced when Matadors’ head coach Greg Moore made a call to the bullpen in the top of the fifth for right-handed pitcher Andrew Weston. In the bottom half of the fourth inning, Smith recorded the first hit of the season with a line drive single to right field. Akitoshi followed with a single of his own. With runners on first and second, designated hitter Albee Weiss scorched a liner to CSUB’s David Metzgar who made a diving catch to his left. Metzgar popped up and threw to second to double up Smith. Hopes of a big inning now had a slim chance. The Matadors’ momentum turned stale after the double play until first baseman Branden Berry stepped into the box. On a 2-0 count, Berry sent a towering fly ball over the left-center wall for a two out, two-run home run, scoring Akitoshi and putting the Matadors within one run of the Roadrunners. Through four innings Bakersfield held a 3-2 lead. 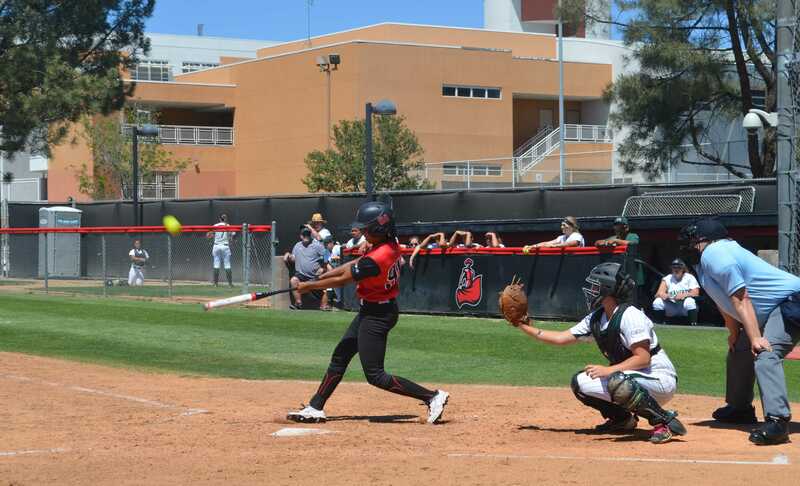 The top of the sixth began with another Matadors’ error committed by shortstop Akitoshi. The blemish ended up hurting CSUN again as the run came into score off an RBI single by White, giving the Roadrunners a 4-2 lead. All nine Roadrunners made a plate appearance in the eighth inning. Bakersfield immediately loaded the bases with three consecutive singles. Coach Moore made another pitching change in the tight spot by calling on sophomore lefty Joey Deceglie. The Rancho Cucamonga native gave up three runs on a fielder’s choice, one error and one hit to increase CSUB’s lead to 7-2. Senior pitcher, out of Glendale College, Angel Rodriguez made an appearance with two outs in the eighth inning. Rodriguez hit the first batter he faced but retired the next hitter for the third out. 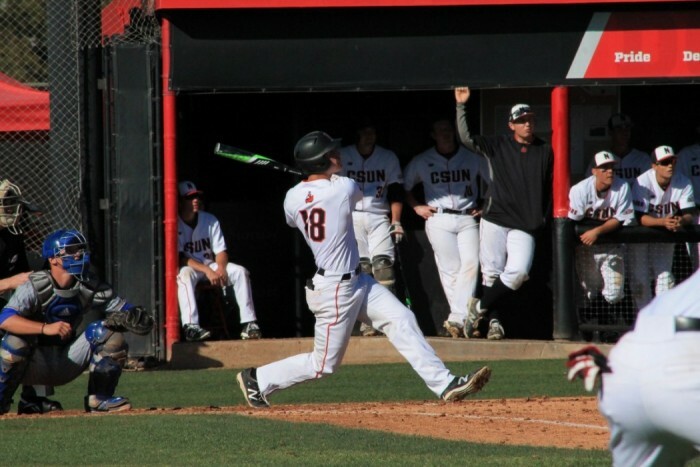 CSUN mounted a comeback in the bottom half of the eighth, which was led by Berry once again. This time, the 6-foot-4-inch 225-pound senior, slammed a three-run home run less than 15 feet away from his first moonshot. His second round-tripper brought the Matadors to a 7-5 deficit. Berry finished the day 2-4 with five RBI’s. Berry said he put a lot of hard work in and just trusted in his preparation. He came to CSUN as a transfer from the University of Washington, where he led the Huskies with eight home runs last year. The only run scored in the ninth came off of a solo home run by CSUB’s right-fielder, Chance Gusbeth. The Matadors went down in order in the bottom half, dropping the home opener 8-5. 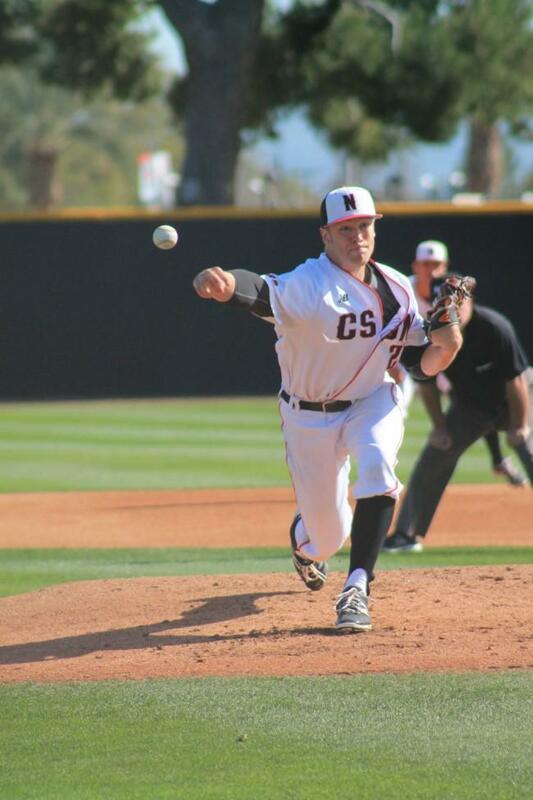 CSUN used three relief pitchers in the loss and gave up 12 hits. Coach Moore said the excitement led to the team making mistakes. The three-game series shifts back to Bakersfield for a 6 p.m. matchup Saturday and finishes at Matador Field on Sunday at 1 p.m.